We argue against theory-of-mind interpretation of recent false-belief experiments with young infants and explore two other interpretations: enactive and behavioral abstraction approaches. We then discuss the differences between these alternatives. Csibra, G. 2005. Mirror neurons and action observation. Is simulation involved? ESF Interdisciplines. http://www.interdisciplines.org/mirror/papers/. Senju, A., V. Southgate, C. Snape, M. Leonard, and G. Csibra. 2011. Do 18-Month-Olds Really Attribute Mental States to Others? : A Critical Test. 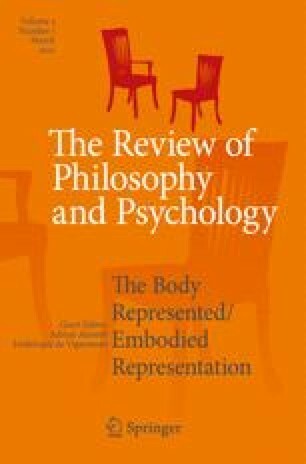 Psychological Science published online 3 June 2011. doi: 10.1177/0956797611411584.